Right Path to follow for finding an opportunity in Actuarial Sector. How many of Actuarial freshers are struggling to find a job? From how long they are trying? And their method of trying? Not to my shock, I got few responses. To my Amazement, people are struggling to find a job from 8 months to a year. Even, some of the experienced candidates are facing it hard to find a job after leaving their previous organizations. Through this article, I want to enlighten you with the path to follow to find an opportunity for yourself. 1. LinkedIn: There is no better platform to find an opportunity for yourself than LinkedIn. Now, here is the catch- You might already be on LinkedIn and ‘Actively seeking job’ is already your tagline. But how do you define that ‘Active’ word? If yours ‘Active’ word means ‘Waiting’ for someone to post about the vacancy, then you are doing it wrong. I know only one meaning of being Active and that definitely does not involves Waiting. Instead of writing ‘Interested’ on comment section, try to directly message the person Concerned and tell them about how you can be more valuable than anyone else (In normal terms, it is called Selling Yourself). Also, do not wait for the opportunities to show on your ‘Home Page’ but try to personally message every person in your Connection and ask them if they know about any vacancy in their company. (P.S. – That is how me and my friends found opportunities’ for ourselves). 2. Join Groups: Whether it is facebook or whatsapp, if you are looking for a job then there are some really helpful people who have created the groups on facebook and whatsapp especially for job seekers. You must be a part of Actuarial job seeking groups on Whatsapp, as you comes to know many of the opportunities through that. 3. Build Software Skills: Now, this is my direct question to those who texted me that they are not able to find opportunities from months. Tell me one thing, how many of you actually tried to create value for yourself and the companies? Have you tried to develop skills of basic softwares like Advanced Excel and VBA that has now almost become Mandatory for the industry? I think most of you are now aware of Excel and VBA, but to stand aside from the crowd, did you try to learn more advanced softwares like R and SQL? If not yet, then wake up because those of you who write an exam from IFoA has to compulsorily learn R and machine learning sooner than later. I don’t think someone who has knowledge of working on all or few of the above softwares will find it difficult to land into a job. 4. Job Portals: Always keep an eye on Job Portals like iimjobs, Indeed, Naukri, etc. Also, keep on checking Jobs posted by IAI. Also, read the descriptions of the senior level jobs so that you can understand what does companies demand as every company has their different criteria. 5. Manage things: Try to create a list of things so that you can track your progress. This was something that really helped me. Find on internet, all the Insurance companies and forward your CV’s to them even if there are no vacancy for freshers as it will be of no harm and you never know when it might help you catch an eye of the recruiter. 6. Build Connections: Ever wondered even when you saw an opportunity and completed all the formalities of applying but why still did not get any response? I’ll tell you why. World is about building connections my friend and *referencing* is a big word for the job seekers. You did not get response for that particular job because someone who already had a connection in that particular company got referred for it. So, building connections is the most important thing to do while searching for a job. 7. Be Dynamic: Apart from your papers cleared, companies looks out for the candidates who can easily adapt themselves to any environment. This is where your communication skills are tested. Also, relevant non-academic achievements are often looked out by companies to judge about how active a person is apart from studies. 8. Be Patient and confident about yourself: Jobs are not created every day. So, you have to remain patient for finding an appropriate opportunity. Meanwhile, always try to learn new things relevant to industry like Insurance Act of India, software skills, etc. 1. Don’t be a cry baby: You may find it rude, but I know some people who keeps on crying that there are no opportunities. If there would be none, profession must have faced downfall years ago. My friends, who graduated this year, got an opportunity for themselves. Problem is, you have to be best with having a bit of luck to land into a job. Finding a job, is all about you and timing. Connecting to right people at right time is of utmost importance. 2. Waiting for opportunities to show: Try to follow the real definition of ‘Being Active’. 3. Do not lie in your CV: All things you wrote about yourself must be true and relevant because somehow companies will know where you have lied. So, be yourself and show what you really are. 4. Do not only Focus on Clearing Papers: If you are only concerned about clearing more and more papers, then you may find it difficult to get a job. I know persons who have cleared whole CT series and are without jobs but people who have cleared 3-5 papers or even zero are doing well in industry. This is because, they have relevant skills and ability to adapt themselves to dynamic environment. Companies do not want nerds but someone who can represent them in Long-Term. 5. 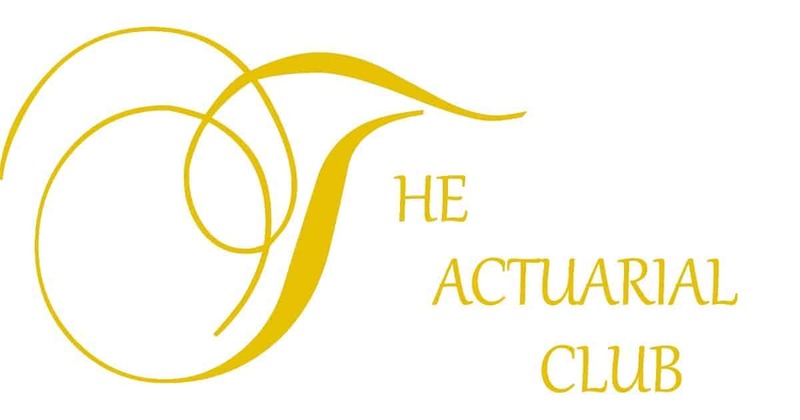 Don’t be Choosy: If you are someone who heard the fancy salary that an Actuary earns and started pursuing actuaries for the same reason (Many of us did) then I would like to wake you up from that dream. Actuary does earns a fancy salary in insurance industry, no doubt about that but it is when you can actually call yourself an “Actuary”. As a fresher, you must be ready to adapt yourself to any circumstances and salary should not be your priority. There are jobs and there will always be if you know the right manner to find it. You must start to build yourself a better network. Connect to as many people as you can on LinkedIn because no matter how much you say LinkedIn is not helping, it does. It does help when you know the rightful manner of how to connect with someone. Never lose hope. Never Give Up. If you have passion and dedication, no one but youcan stop yourself from achieving your dream career. Follow the things I mentioned and thank me later if this article helped you in any manner. An Actuary Aspirant. Enjoys trying out new things and never back out from any Challenge. Creative thinker and loves to express!